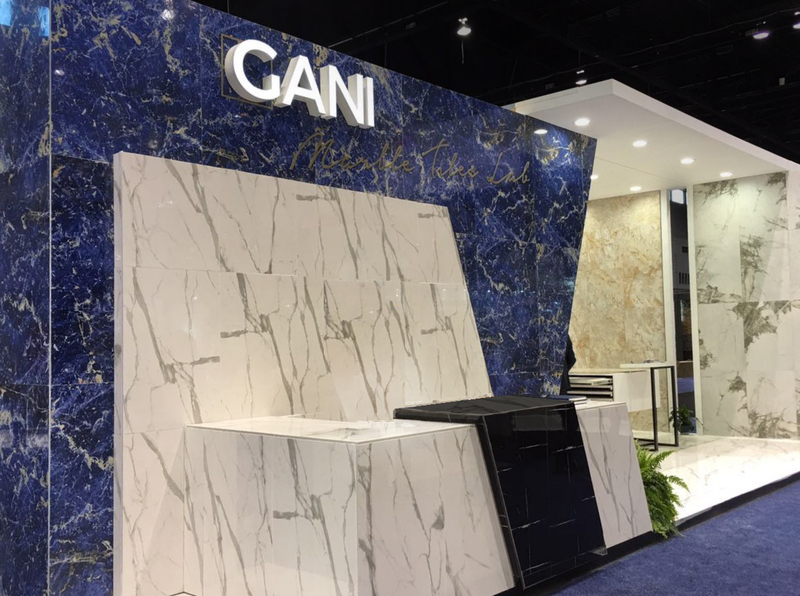 Gani is a Chinese manufacturer focussed on creating glazed ceramic tiles that reflect to perfection the natural element of marble, keeping the high performance and qualities of the porcelain ceramic tile. 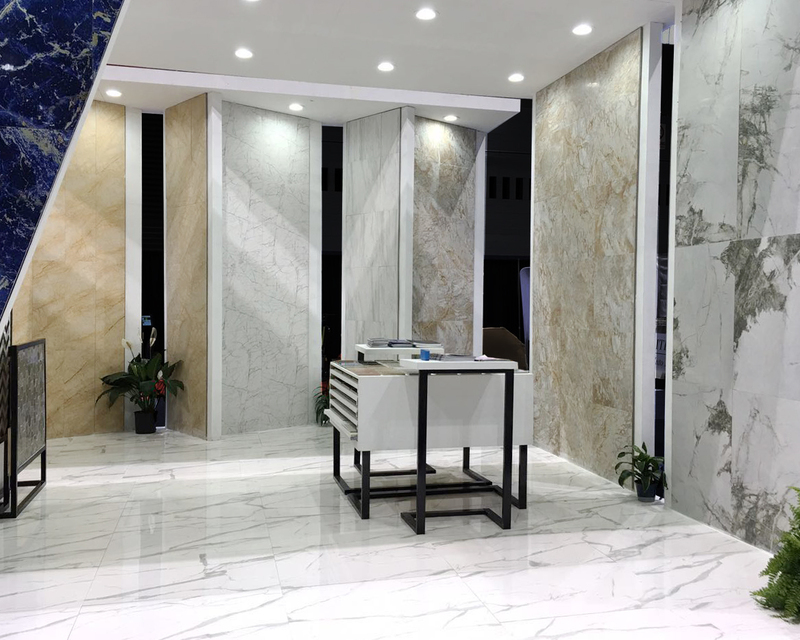 For this project we were asked to design the stand for the Coverings fair at Chicago city. We decided to show the product in a bigger scale, so for the structure construction, we made use of their products. 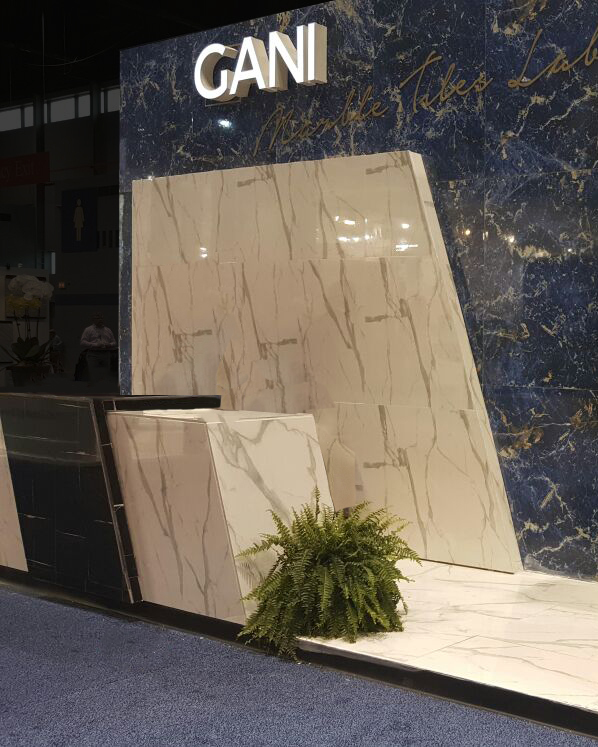 Instead of the more traditional way of showing the product in a display, we decided to show the possible use of Gani´s tiles and we applied a white marble on the floor and created a blue facade made with one of their rare marble collection, as an attention grabber. 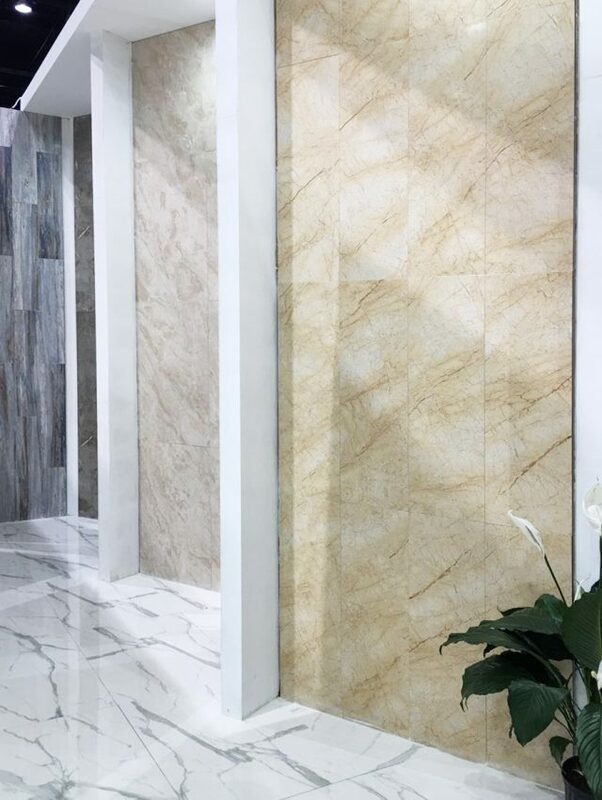 Straight lines, and a minimalistic booth design to let all the focus on the products. 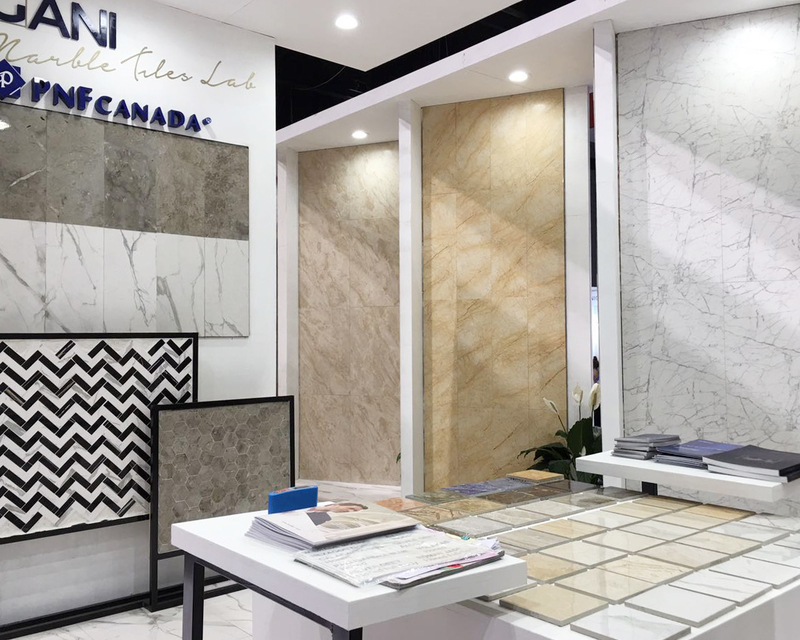 As one of the china main producers exhibiting at Coverings, the stand looked strong and straight forward, just as Gani brand.